The call came in around 6 pm on Sun. July 1, 2018. 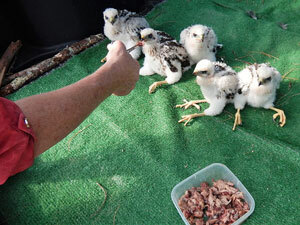 It was a volunteer from the Wildlife Clinic, she was driving to Galilee to pick up a nest full of young hawks whose tree had been cut down, with them in it. Her question was "would we take them?" Our response was "of course, we'll meet you in a half hour". Arriving back at BTBW Nature Center, it was just after 7 pm. and there were five hungry mouths to feed. The young Broad-winged Hawks had had nothing to eat since morning. I began cutting up whole dead mice, while John got the nestlings settled into their new accommodations. 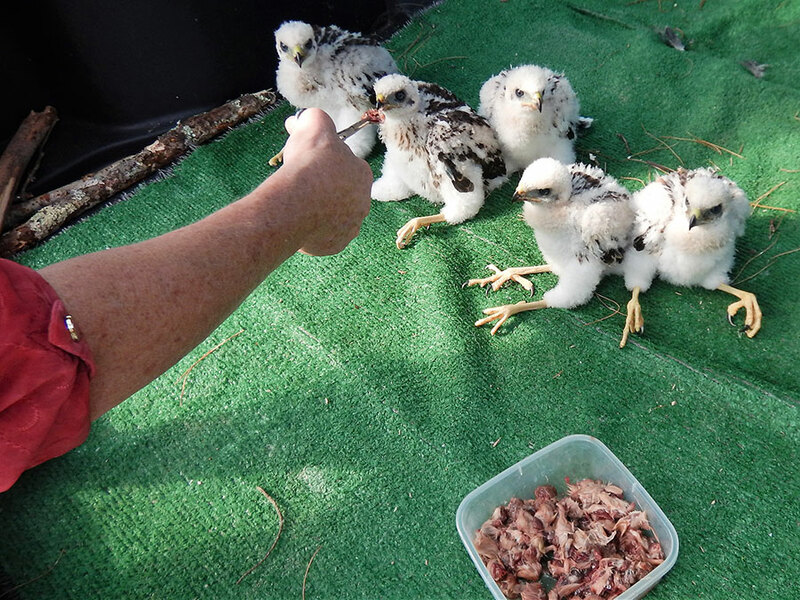 Feeding time went quickly, as the five nestlings (estimated to be 2 weeks old) each gobbled down 5 mice. It would be a repeat the next morning, another 25 mice devoured!! We knew that the best thing for these youngsters would be reuniting them with their parents. 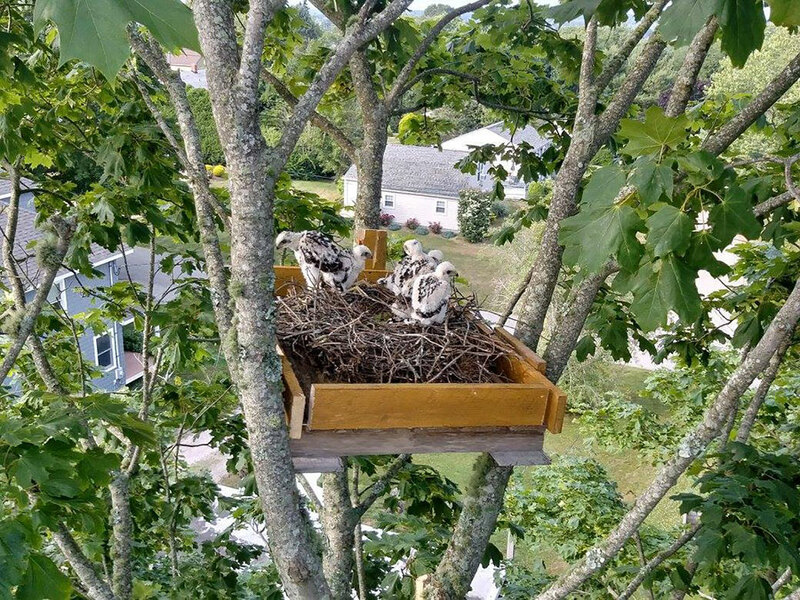 This meant a flurry of phone calls that morning to coordinate with the tree service company, who had been responsible for the displacement of these nestlings. 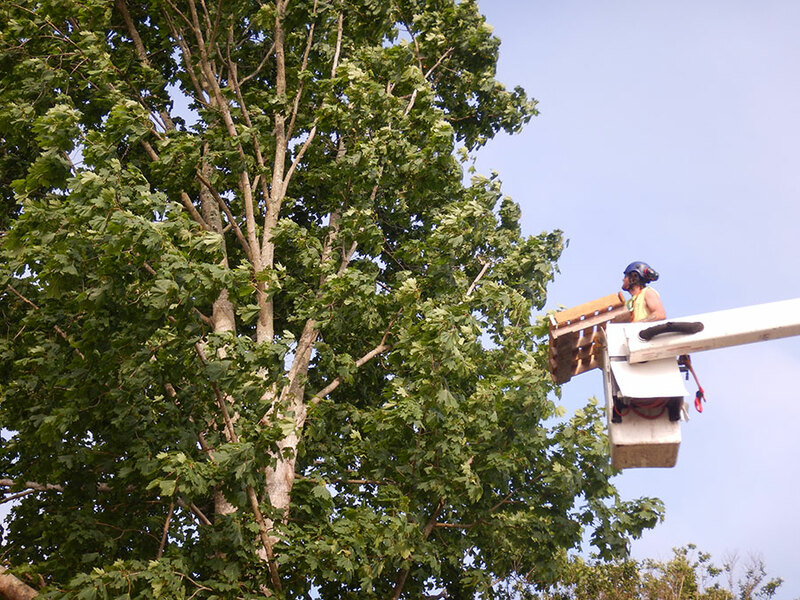 They sent an arborist to meet us later that afternoon with a large bucket truck capable of reaching heights greater than 60 ft. In the meantime, John constructed a wooden platform which would be installed in the new tree, in order to support the original nest & its' growing offspring. I took the nestlings to see Dr. Bird, one of our local wildlife Vets, just to make sure none of the babies had been injured in the fall. All five were given a clean bill of health. Zack, the arborist, arrived to the original location first and chose a large Maple tree in the same yard the hawks were found in. 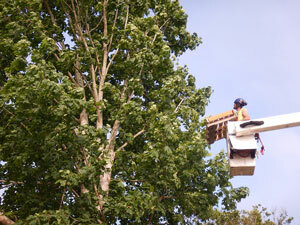 Working 50 feet in the air, Zack expertly installed the platform and then the nest. On the ground, I was feeding them one last meal so they wouldn't be hungry for a while. All there was left to do now was hoist them up (in a canvas shopping bag) to their new and improved nest and let their parents resume their duties. About 20 mins. after everyone left, neighbors called to tell us that mother hawk had flown to the nest with a mouse! Another successful re-nesting! 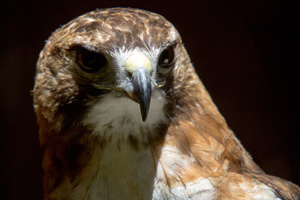 A truly remarkable Red Tailed Hawk came to us, through the Wildlife Clinic, after being badly burned by a methane flare at our central landfill. These flares are necessary to vent the gases from decomposing garbage and they flare off intermittently when the methane gases builds up. Unfortunately, the way they are designed, birds can perch on the pipes (and are killed when it ignites) or fly over them (as in Phoenix's case). It's a national problem with flare related bird deaths documented in at least 14 states. 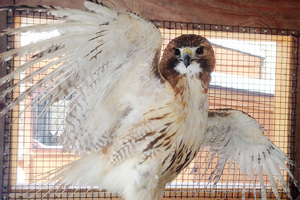 While he recovered at BTBW and started the long process of molting (growing) new feathers, Phoenix became the poster child for this problem. 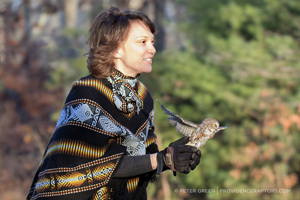 His story (and picture) was carried in several newspapers, magazines and featured in ecoRI.org. Local TV stations ABC6 and WJAR both covered Phoenix. This got the attention of officials at the landfill and they worked for several months to make the flares safer for all birds. They did this by removing any perching opportunities near the flares (poles, trees, sheds), they installed anti-perching devices on things they couldn't move like utility poles, buildings etc. and finally, they fitted the flares with steel spiked crowns that can withstand the extreme heat but prevent birds from perching there. One hawk CAN make a difference! We knew Phoenix must have a mate because he was an older bird (as well as charming and regal) and those are almost always pair bonded. So after he completed his molt and regained his endurance, we took him back to the landfill in Johnston, R.I.
On a sunny September morning, with two friends and two officials there, we watched happily as he flew up in to a tree. 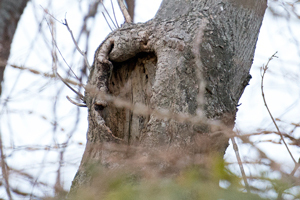 On the way out, a female Red Tail was spotted. Phoenix sure had a lot of explaining to do! On an recent epic migration from the arctic tundra, this female juvenile Snowy flew into a wire at the Quonset airport in N. Kingstown, RI. 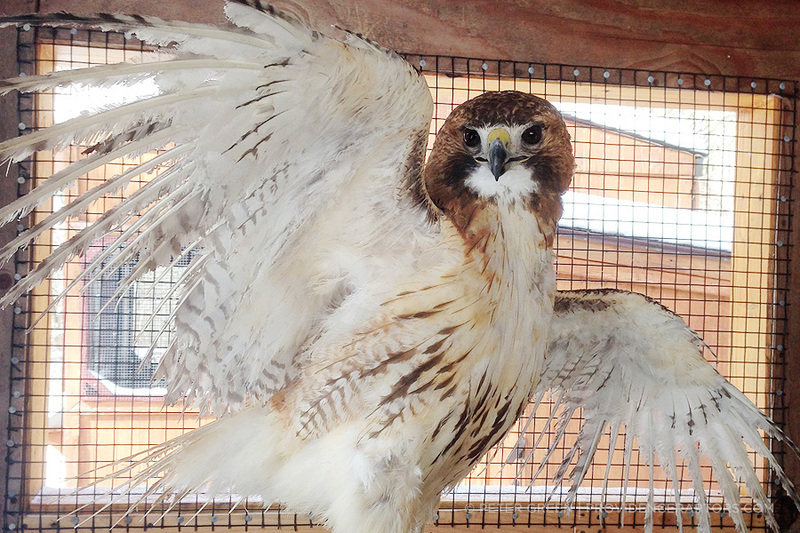 She was carefully transported to the wildlife clinic where x-rays confirmed a double fracture of her wing. She was transported to BTBW for rehabilitation. For the first two weeks at BTBW, she was kept in a soft sided playpen to restrict any movement of the broken wing. 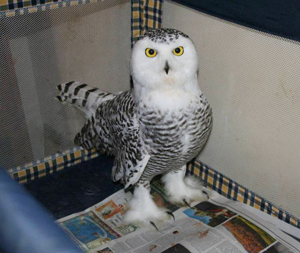 Standing 2.5 ft tall and weighing over 5 lbs, the Snowy Owl is an impressive sight. Soon, she was moved outdoors to a flight cage where she could begin exercising and strengthening the newly healed wing. It was at this time that a second Snowy Owl arrived at BTBW. It was another juvenile female who had been struck by a car in Providence, R.I. She had received head trauma but was well enough to be put outside with the first owl. They got along beautifully. 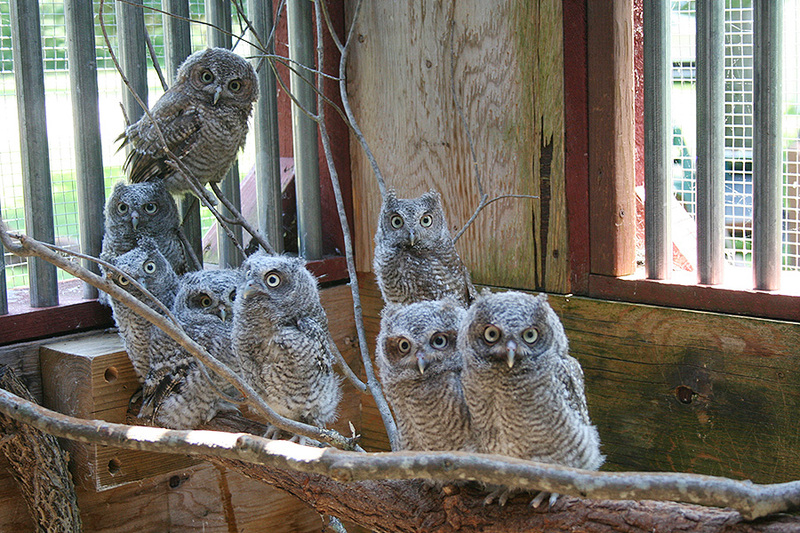 Within a month, both owls were ready to be released. This was such a rare and unusual circumstance in our region, that CBS Nightly News drove down from NYC to film the release of our owl for a story they were covering on Snowy Owls. It aired on both the nightly and morning addition of the CBS national news. Click here to see CBS video coverage of the Snowy Owl invasion. 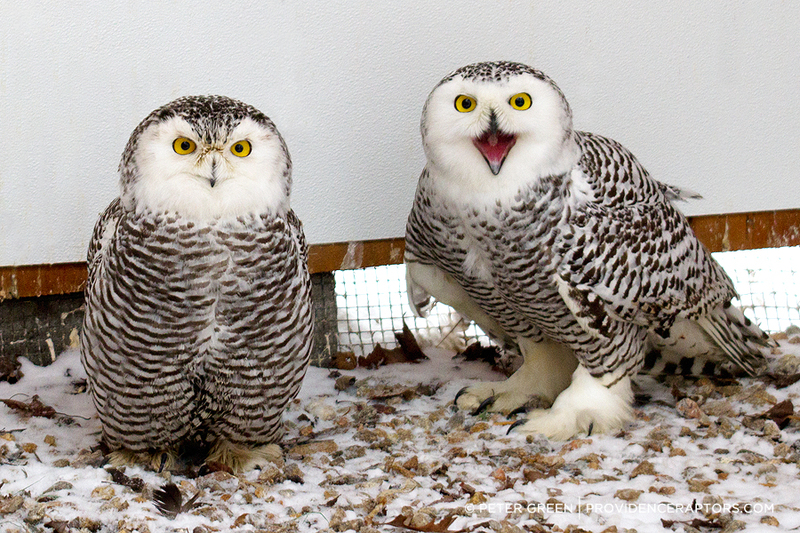 As if this weren't exciting enough, we returned home in time to receive our third and final Snowy Owl. This time it was a young male who had signs of lead poisoning. He was weak and lethargic but once on a proper diet, his condition quickly improved. In the arctic, Snowys feed almost exclusively on lemmings. But during their southerly migration, these powerful owls hunt ducks and other birds along the shoreline. It was presumed that this male had fed on a duck killed by a hunter using lead shotgun pellets. 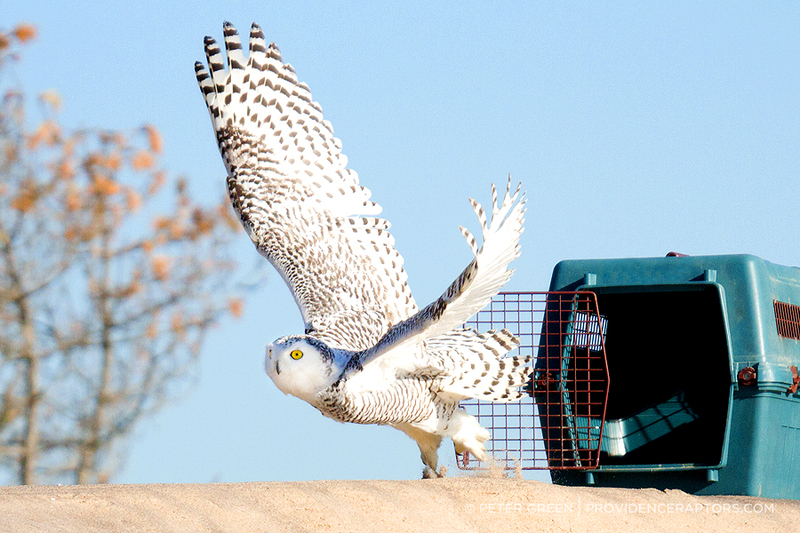 At BTBW, we fed the Snowy Owls a healthy diet of quail. Within a few short weeks, we were able to release this owl so that he could continue his journey back to the Arctic. 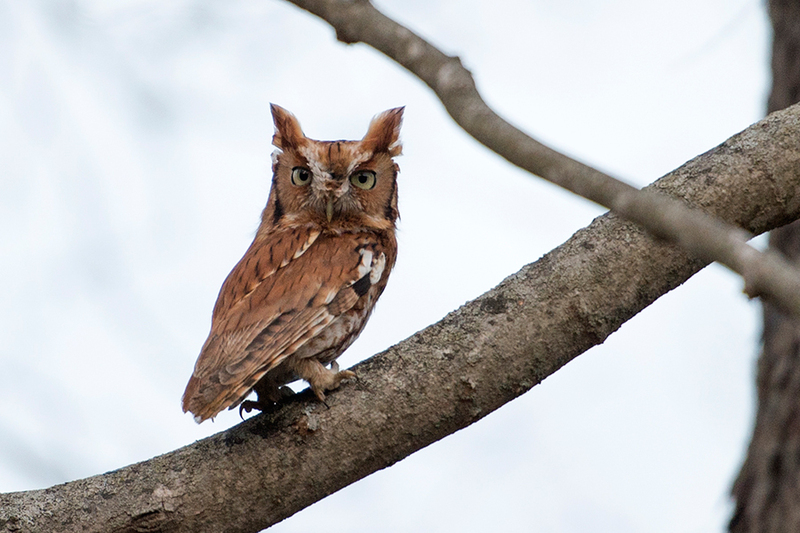 "Ginger", a red phase Eastern Screech Owl, was named by her 5-year-old rescuer who was riding with her Dad. She spotted the little owl lying in the road after being struck by a car. They stopped and carefully scooped Ginger up and brought her to us. At first Ginger wouldn't move or open her eyes. It was obvious she was in pain but thankfully nothing was broken. She was given a medication to help with the pain and kept in a very quiet, warm isolation area. Days turned into weeks and Ginger steadily improved. When the day came for her release, we met up with Ginger's rescuers at the precise location where the little girl had spotted her. We then chose an area far enough from the road to feel safe. Little did we know then, how close we were to Ginger's home. In a wooded area, bordering a field, we set Ginger free. At first, she didn't want to go and instead bit my finger. Then she was off, perching high in a tree, glaring down at us. Suddenly, Ginger flew off, zigzagging around a few trees before disappearing into a hole in a tree. We hadn't previously seen the cavity but Ginger certainly knew she was home! Driving home one night, Tara spotted a small owl sitting in the middle of a four lane highway. The owl was obviously in distress yet the steady stream of cars continued to drive by. 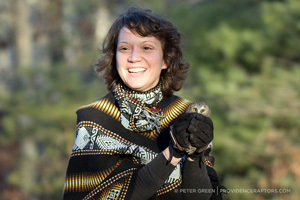 Tara pulled a U-turn and waited until it was safe to cross the road to reach the tiny owl. She scooped him up in a sweater and made her way carefully back to her car. 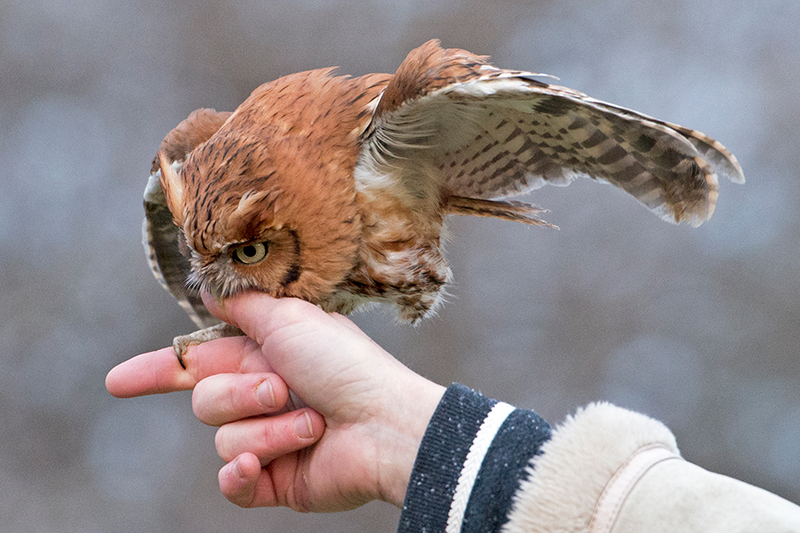 Given the volume of traffic, this owl never would have been able to get out of danger without some help. Tara kept the owl safe until she could transport him to the Wildlife Clinic the next day. Within hours, he then arrived at BTBW for rehabilitation. 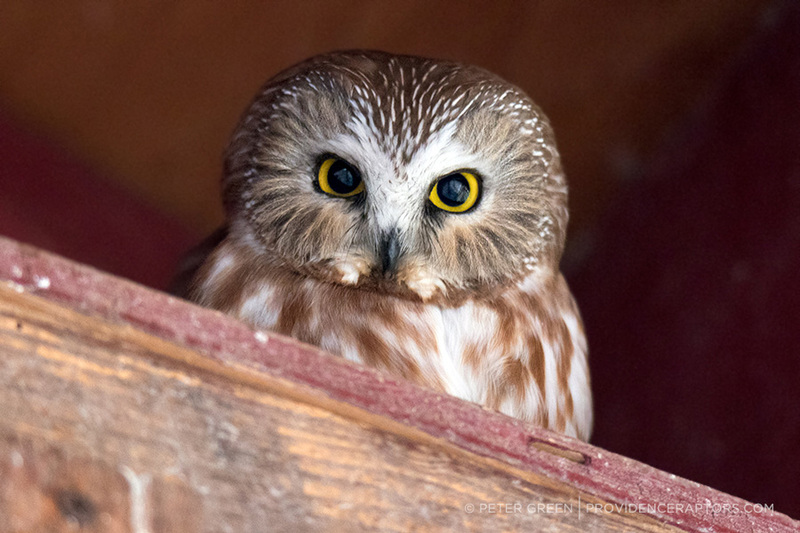 This Northern Saw-Whet Owl appeared to have suffered just a mild concussion and a week later he was reunited with his Guardian Angel, Tara, who released him back to the wild. 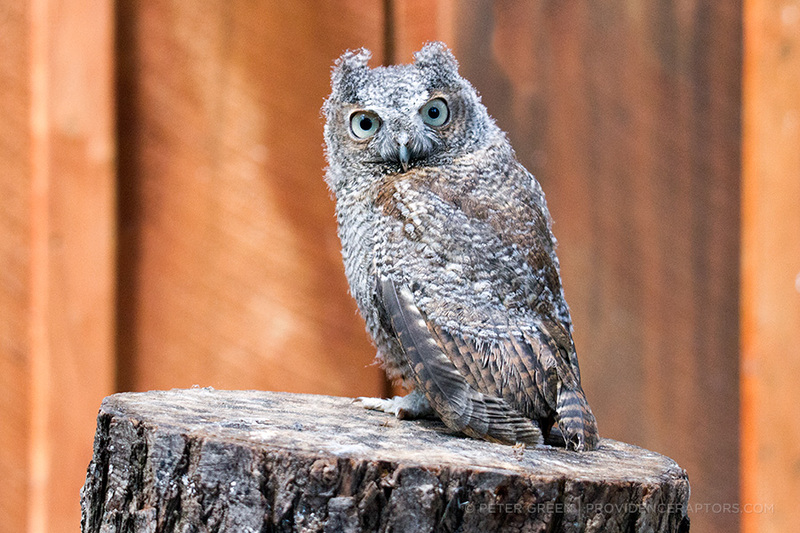 The most regular visitor to BTBW Nature Center is the diminutive yet fierce Eastern Screech Owl. This is because they are quite common here in Rhode Island. These little owls (no bigger than a pint glass) are found wherever there are trees. 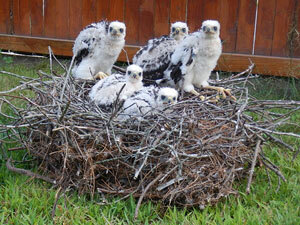 Most of those that come to us are nestlings, having fallen to the ground before they could fly. 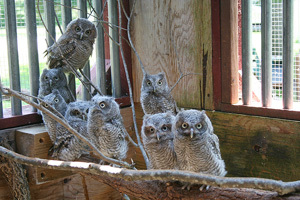 One recent spring, we received 16 Screech owlets over a 2 week period. The rehabilitation of these tiny predators is fairly easy. Feed them a couple of mice per day while they learn to fly. Once they are demonstrating adequate flight techniques, we return them to the precise location where they were found. This involves driving all over the state but we feel it is important to reunite them with their families as soon as possible. Raptors are exceptionally good parents and they choose the location of their nest very carefully. That location must meet the four basic needs, which are food, water, space and shelter. 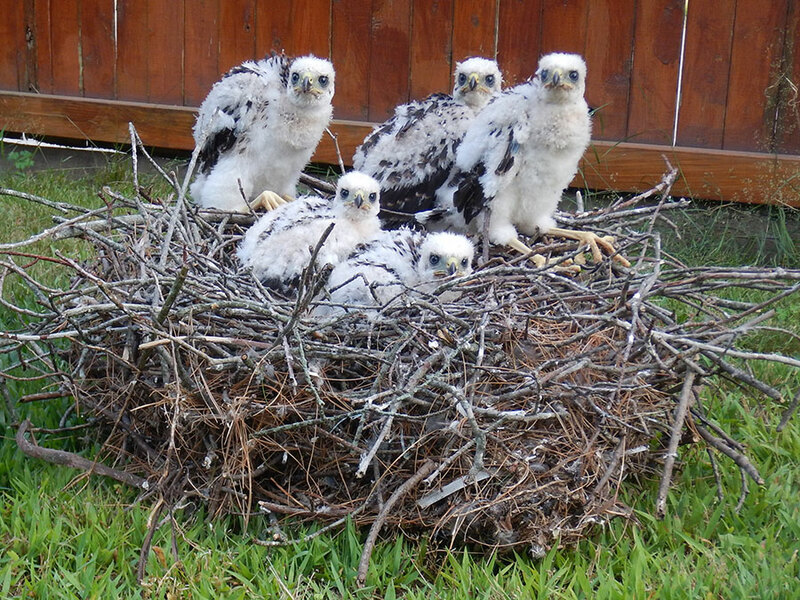 These parents do not abandon the nest site just because one or more babies disappear. 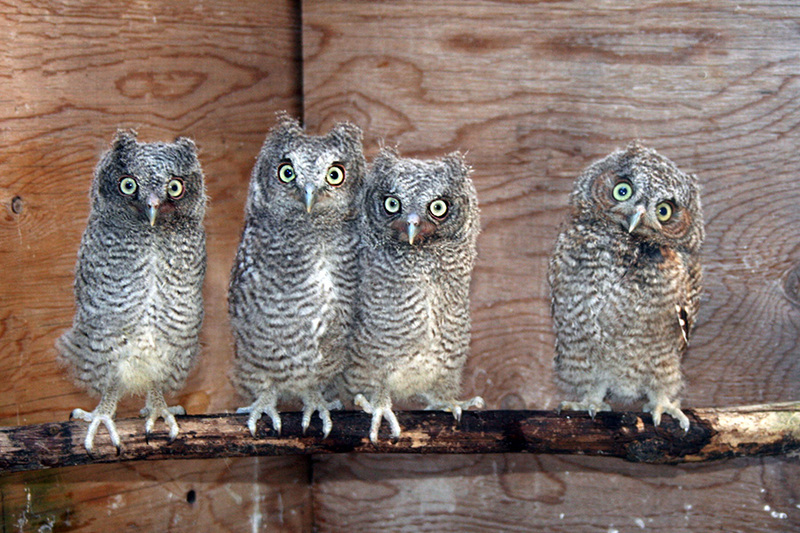 Once we determine that the young owls are able to fly, we contact their rescuer so they can show us exactly where they found the owlet. In order for us to keep track of which baby goes where, we color code each one when they come in by painting a talon with a particular colored nail polish.